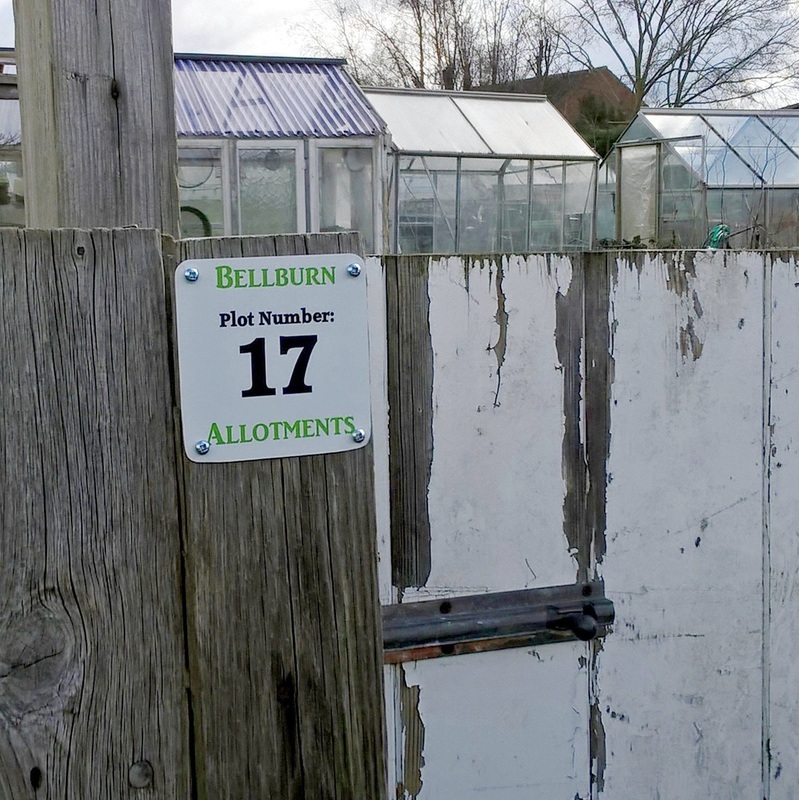 Many allotment sites have grown and changed over time meaning plot numbers have been confused or never assigned. In response to this we've developed our Plot Numbering Signs! "It came about as allotment holders at the site I'm part of were asked to pay their yearly feeds via bank transfer. We were told to use our plot numbers as a reference so they could be matched with the payments. It soon became apparent that a large majority of member's hadn't a clue what their number was and most plots weren't marked or even followed a logical numbering patter due to the site expanding over the years." These signs are low cost and make it easy to uniformly mark individual plots. Meaning a whole site can have a system everyone understands, something which also promotes a tidy image and helps to create accurate records. Made from aluminium plate they are produced using a heat transfer printing process. Overall Size: 7.5cms x 7.5cms* with rounded corners. White background with full colour print, Each associate can specify its own requirements such as wording, logos and numbering on the signs. Four pre-drilled holes and screws to mount. We can also package them individually in griplock bags for ease of distribution to the plot holders if requested. If you require over 200 please ask about volume discounts. *We can print a variety of other sizes if this one doesn't suit your requirements, just ask for further details. Please Note: Whilst we do coat the signs with special lacquer to give extra protection they will, like all things left outside, eventually fade. Logos, etc. we try to match colours as closely as possible but the heating print process and coating application can change them slightly.